This world famous archipelago is a place where you can relax and find time for yourself amidst nature and plenty of delicious foods. The Caribbean food has been inspired by many other cuisines such as African, East Indian, European, Amerindian, Chinese as well as Arab. However, in spite of such influences, this place has been able to bring about a gastronomy which is typically Caribbean. These foods are very innovative and ornamental as the dishes are simple but give an aesthetic pleasure while satiating one’s taste buds. Depending on the season and availability, the key ingredients constitute of conch, flying fish, coconut, beans, plantains and the like. The Caribbean food uses a special marinating spice which belongs specifically to this region and is a combo of green herbs and oil. Starters, confectioneries, desserts or main course, all of these have a Caribbean twist which we have tried to sum up in the following to give you a gist of what this food fare has in store. 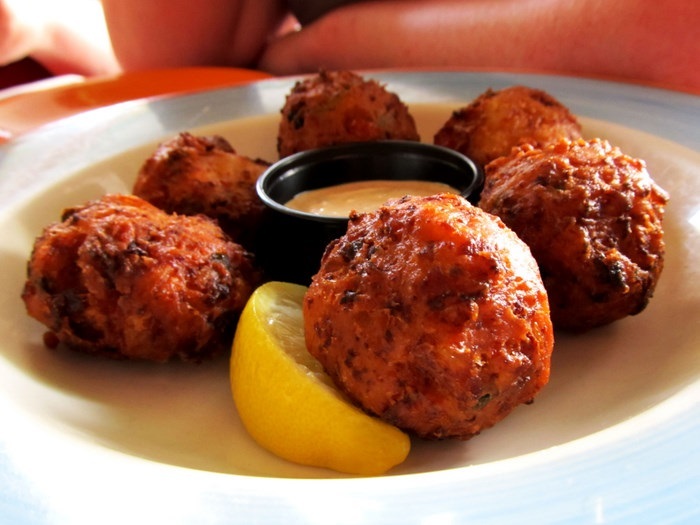 The fritters prepared with this shellfish is one of the most popular dishes in the Caribbean islands where conch is readily available and the freshness of this shellfish makes it taste better. 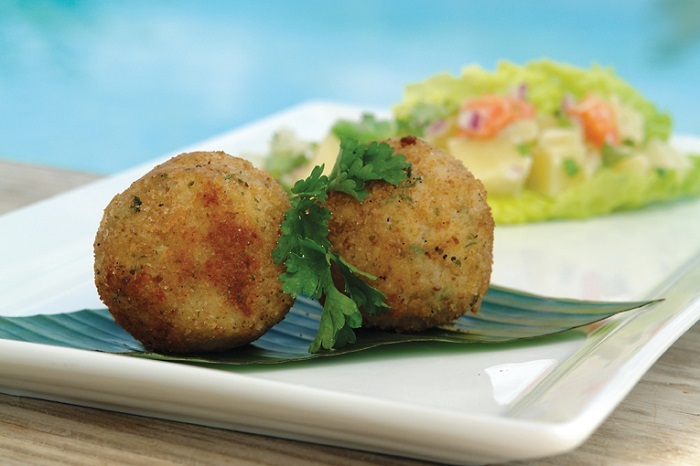 Ingredients such as onion, eggs, peppers, celery and flour along with conch sum up to make delicious Conch Fritters. 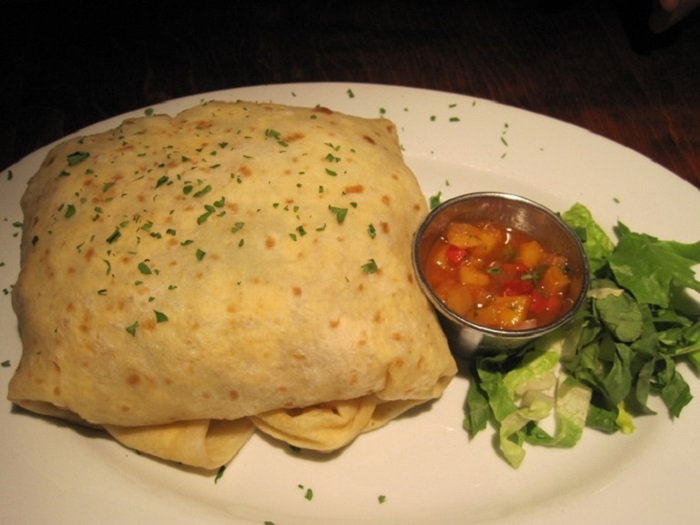 One of the staple food items of India, Roti is also a known food item in the Caribbean. 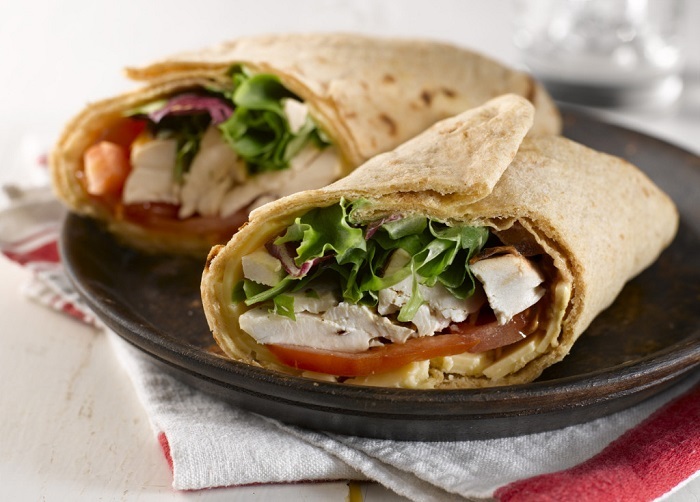 The way this flat bread in eaten in the Caribbean is different from that of India; here the bread is made into a wrap which seals currystew of veggies, shrimps, meat or conch. 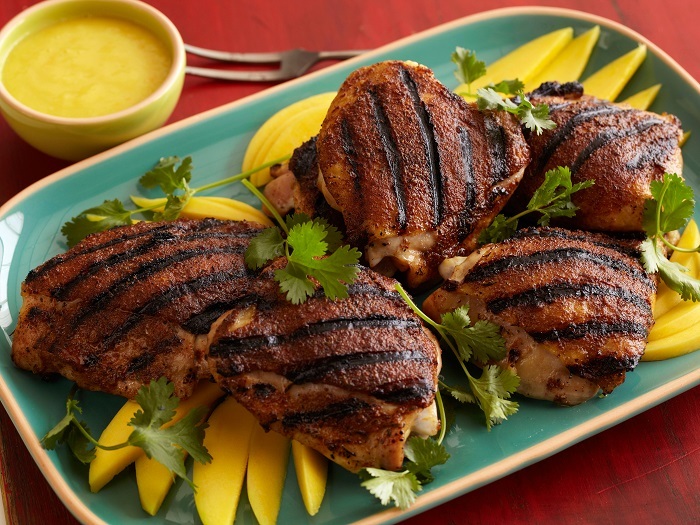 One of the most spicy and well known Jamaican dishes is the Jerk Chicken. The jerk is a special mixture of spices which is laced on the chicken and then grilled to make that mouthwatering chicken dish. Other meat can also be cooked in the same process and the jerk spice works magic by soaking the meat in its flavours. 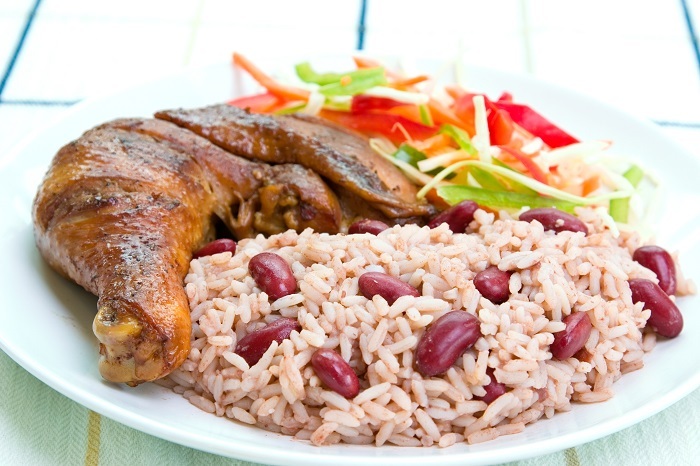 In the Caribbean, a meal is not complete without a plate of Rice and Beans. 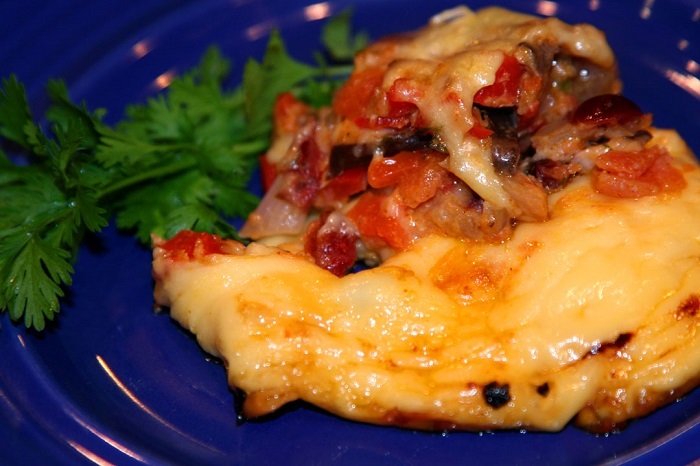 This can be eaten as a side dish or can also serve as a main course food item. In order to enrich taste, rice is sometimes cooked in coconut meat which gives a milky white colour and red beans complement it beautifully. This rice bean or peas combo is savored with vegetables and meat. 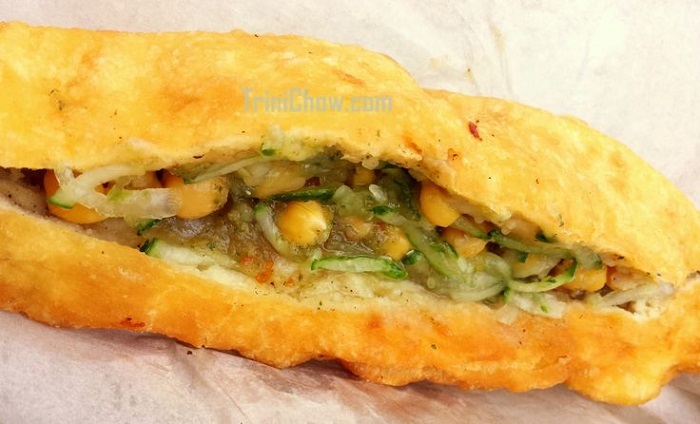 A delicacy in the twin islands of Trinidad and Tobago, this potato pie has close association with the Indian snack called samosa with respect to the filling while it is similar to calzone and empanadas in shape. These are stuffed with mashed potatoes, vegetables and green peas or chickpeas and eaten with various dips. 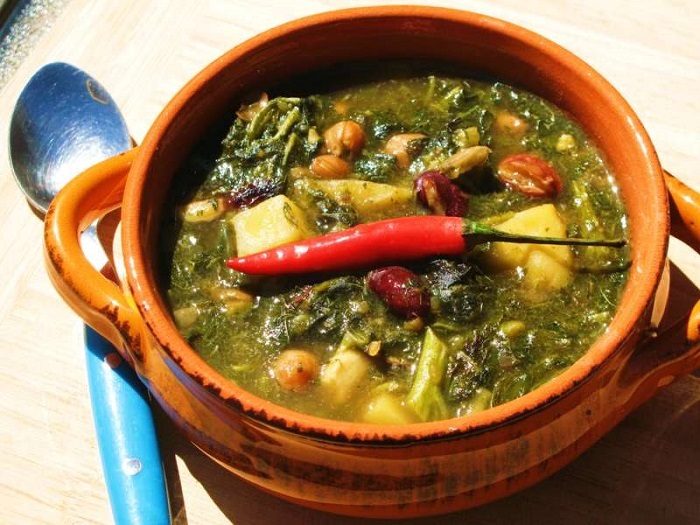 Callaloo is a green thick soup prepared with leafy vegetable called amaranth (sometimes water spinach is also used). This leafy vegetable dish owes its origin to West Africa and after the slaves introduced it to the Caribbean people, it turned into a favourite among them too. This green puree is made by cooking the greens along with coconut milk, seafood, meat, peppers and okra. This golden coloured snacks look and taste lip-smacking. 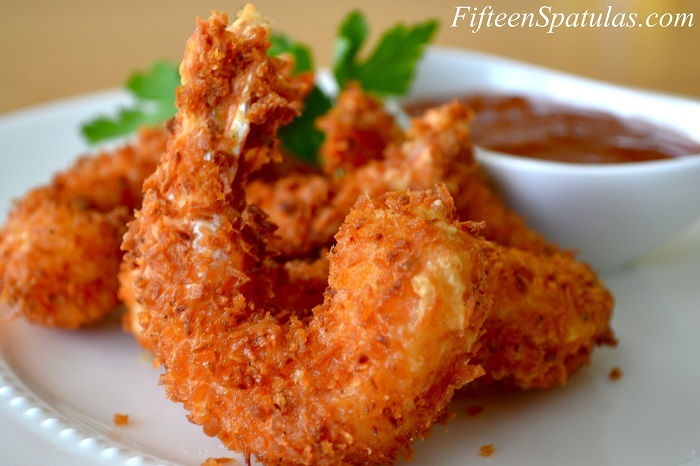 Soft shrimps dipped in eggs and coated with shredded coconut is a desired food for it has the sweetness of the shrimps and the crispiness of the deep fried coconut. The health conscious individuals do not need to restrain from this treat as this can be baked instead of deep frying. The sweet ackee fruit and the saline saltfish (salt cod) bring in a magical combination which serves as a significant food item in Caribbean. This fruit initially belonged to Ghana which was exported to Caribbean. 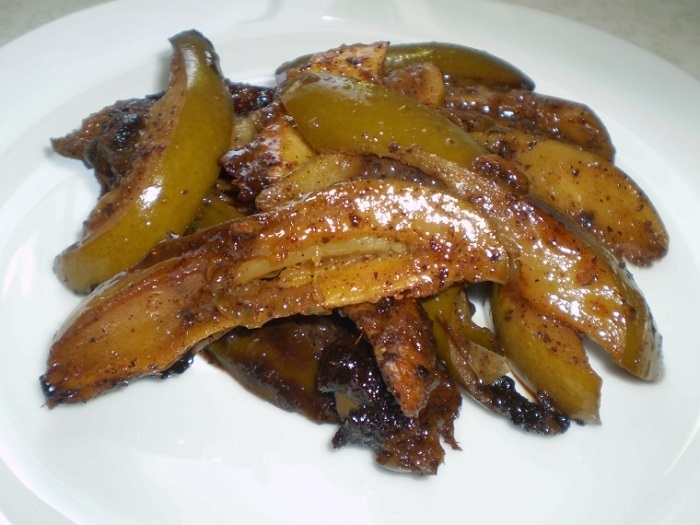 Onion, peppers, various spices and seasonings make this a desired diet. Cheese balls! Meat marinated in spices is filled into cheese balls which is then baked or steamed. 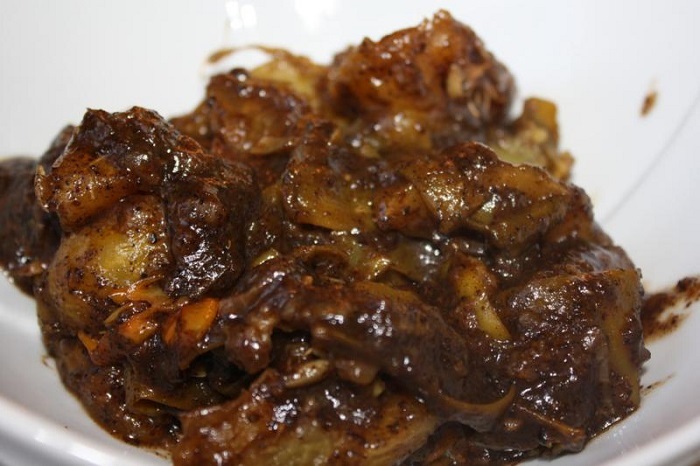 This dish is apparently is of Dutch origin and has now become an integral part of the Caribbean cuisine. 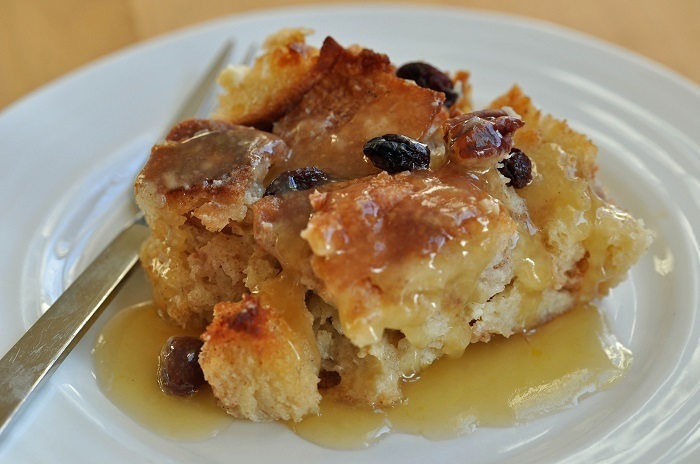 This baked dessert is popular all around the world and in the Caribbean too it is renowned as a sweet dish. Simple yet scrumptious, this pudding is prepared with bread together with milk, butter, eggs, cinnamon and optionally raisin and nuts. Some drizzle the pudding with melted chocolate to enhance its flavor. Regarded as the national dish of Barbados Island, Flying Fish and Cou-Cou combine into a flavoursome snack. 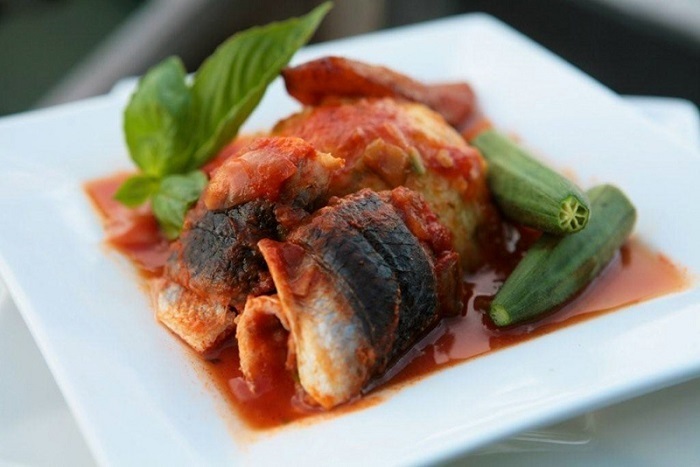 Steamed flying fish blend well with smooth cou-cou (made with okra, cornmeal and water) to give a treat to the taste buds. 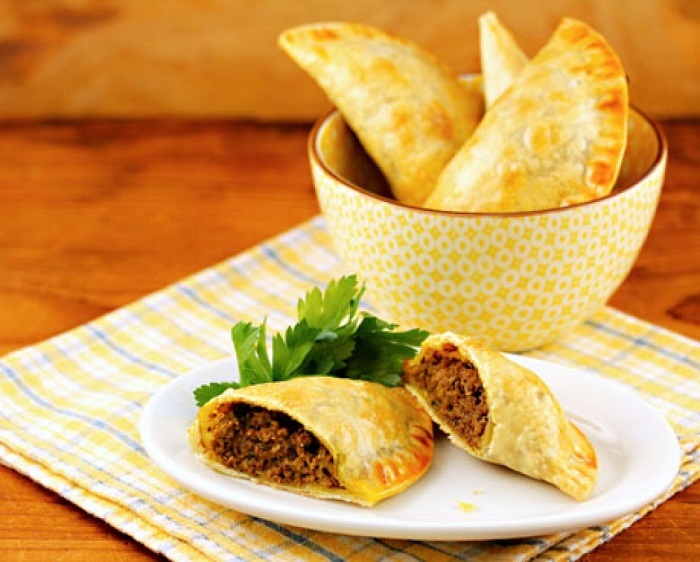 Popularly known as the Jamaican patty, it is a stuffed confectionery item, wherein ground beef is used more often. The patties can also have chicken, lamb, vegetables, pork, ackee, shrimp, soy, lobster or even cheese fillings, and when accompanied with coco bread, it makes a tummy filling delight. 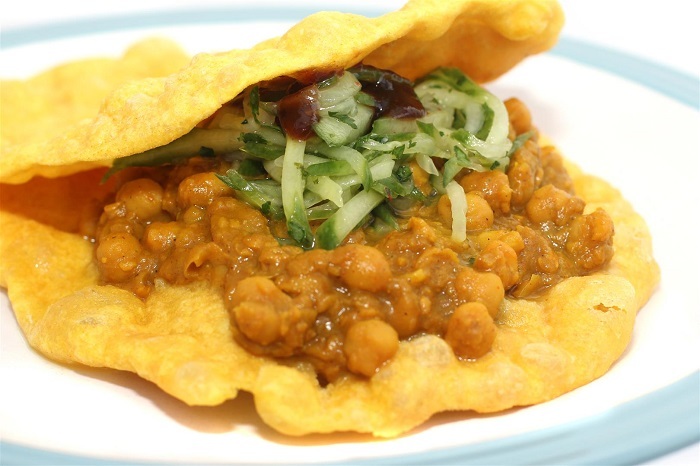 More renowned in the Trinidad and Tobago regions, this mushy food item is found in every street stall and is a favourite among the people of the Caribbean. Doubles are made with two flat breads sandwiching a generous amount of chickpea curry and on this sandwich is placed coconut, mango, cucumber, tamarind, shadon beni and pepper sauce which adds to the taste. 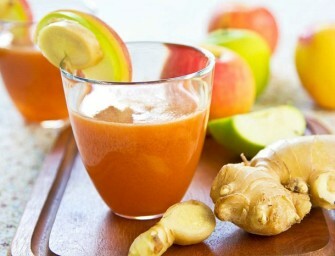 It is suitable for breakfast, lunch, dinner and even snack. Curried Mango or mango talkari is a one such dish which sure can make you drool. This tangy mango curry is one must try dish in Caribbean cuisine and is very similar to Indian mango pickle. The style of cooking varies from person to person but the combination of all the tastes – sweet, salty, sour and spicy, keeps it delectability quotient unaltered. Breadfruit which looks more or less like jackfruit has high nutritive values and has made an exclusive place in Caribbean cuisine. 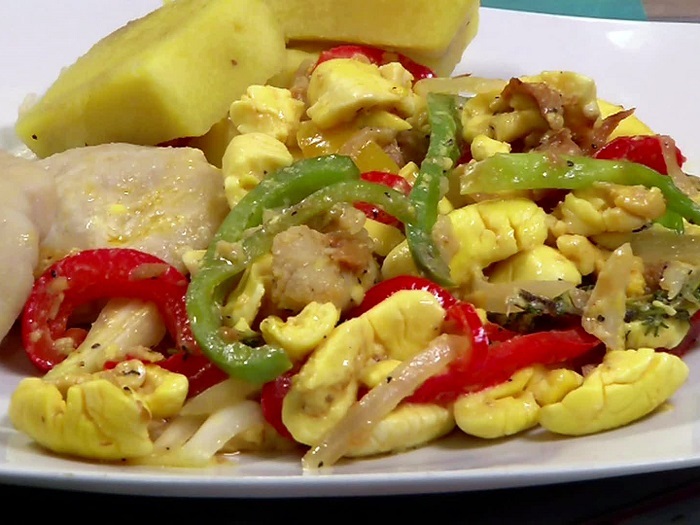 Various food items contain breadfruit as a key ingredient and this fruit is also eaten along with fried cod fish. Breadfruit is also used to make flour which is gluten-free and as such is healthy flour. 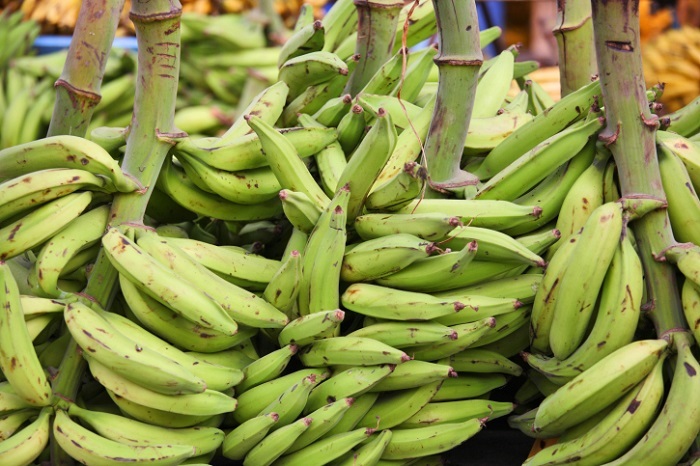 Plantain is similar to banana scientifically but plantain is not sweet like banana and is consumed after cooking. Like breadfruit, this veggie also has many culinary uses. 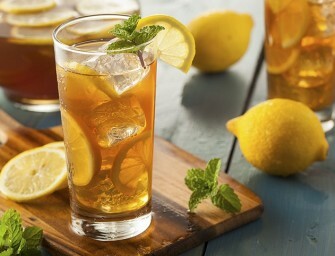 Another added advantage of this food is that it helps burn fat. 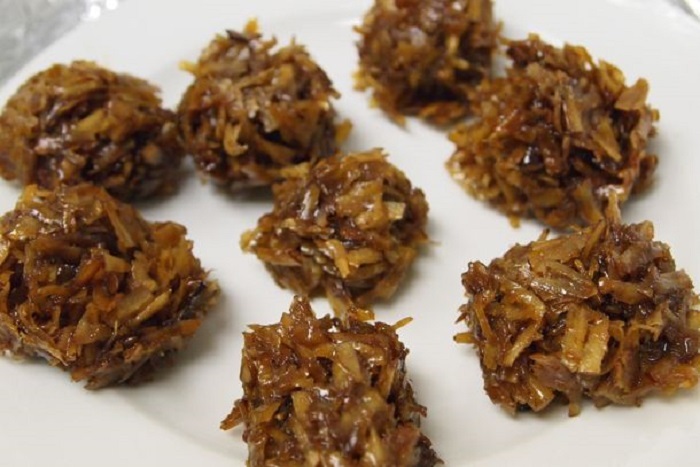 Coconut drops is a dessert belonging to the Jamaican gastronomy and cut cake is another name for this food item. This is made by simmering diced coconut, ginger and brown sugar which becomes like candy after the mixture is allowed to cool. As ginger and coconut have medicinal qualities and help fight cold, this caramelized dessert should have health benefits. This dessert marks the festivity in the Saint Croix, US Virgin Islands, when almost every household prepares this creamy custard. The scarlet coloured guava mousse works as an appetizer. 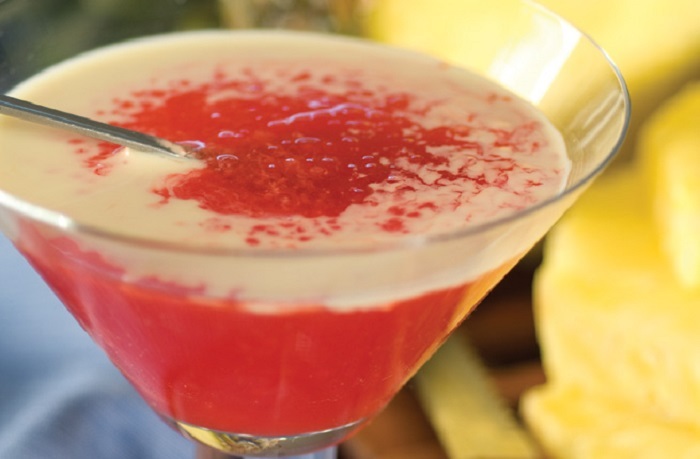 It is made with guava, tapioca, cinnamon, nutmeg and vanilla essence (optional). 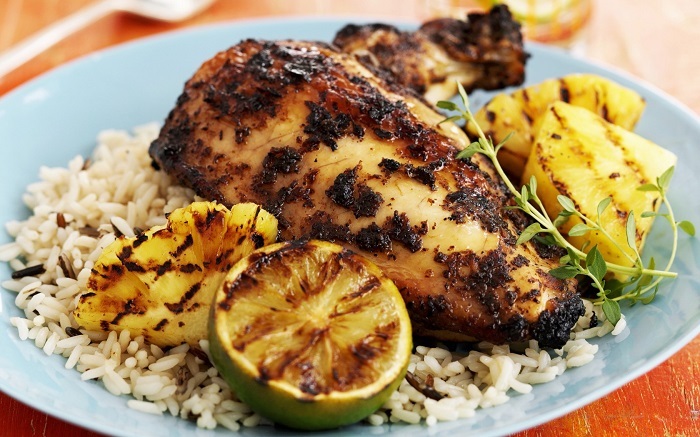 We have heard of grilled meat and it is often found in the cuisine of many countries, but grilled fruit is a speciality of the Caribbean cuisine. This country has in store some fruits such as coconut, plantain, kiwi, strawberry and pineapple which are suitable for grilling. The high temperature turns these fruits tenderer and makes them taste better. Foods High In Potassium That Will Boost Your Health! !